By making better, more timely decisions based on trusted data, organizations can improve every element of their operations—whether reducing costs, identifying opportunities, taking the right products more quickly to market, weathering economic turmoil, procuring better, or improving customer service. While the transition to a high-performing organization doesn't happen overnight, Column5 employs change management techniques that facilitate the process. As a result, you can regain some of the things you've compromised away over the years, and obtain the most from your EPM solution. Column5 approaches organizational effectiveness in manageable stages, starting with the burning issues and bottlenecks. Common challenges include a lack of confidence in the numbers, delayed access to key information, or an inability to efficiently access and analyze the existing volumes of data because of spreadsheet proliferation. Our consultants use enabling technology to reduce the amount of number crunching your key staff members have to do, and present critical information in ways that provides new insights for managing complexity, data and processes. Improved management techniques create little sustained value unless they change how people behave and make decisions. Column5 starts by defining the gap between existing beliefs that impede progress—such as "never submit your real budget the first time," "avoid being held accountable for specific measures," and "always get the most people reporting to you"—and desired behaviors. Based on an understanding of the root causes of current dysfunction, our consultants can ensure the redesigned processes encourage desired behavior. 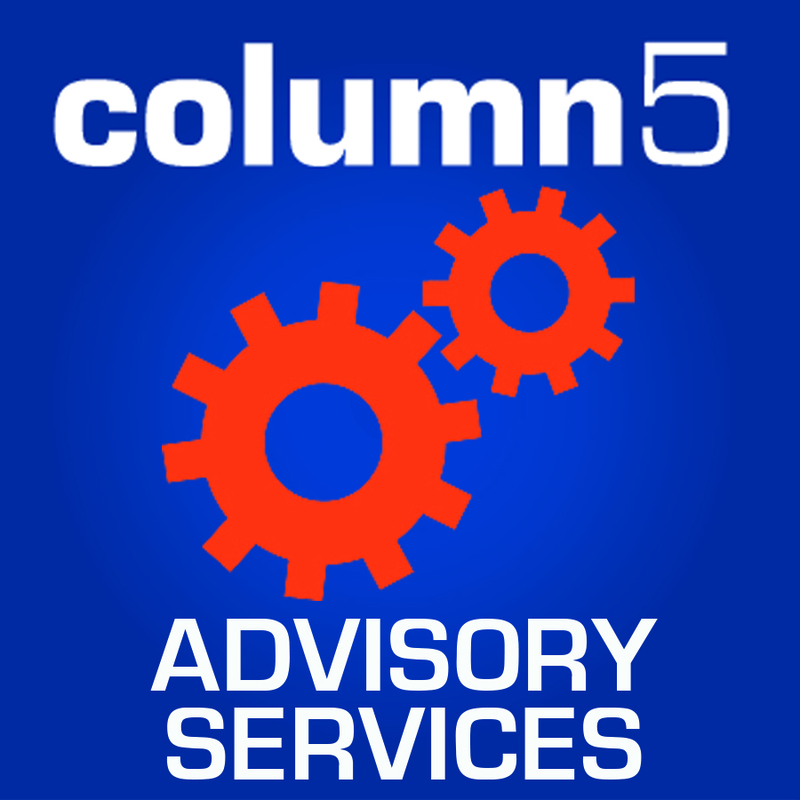 Indeed, many of Column5 clients are amazed at how quickly the transformation takes place, based on well-designed processes and appropriate enabling technology. Interested in functional, technical, and strategic review of your system?